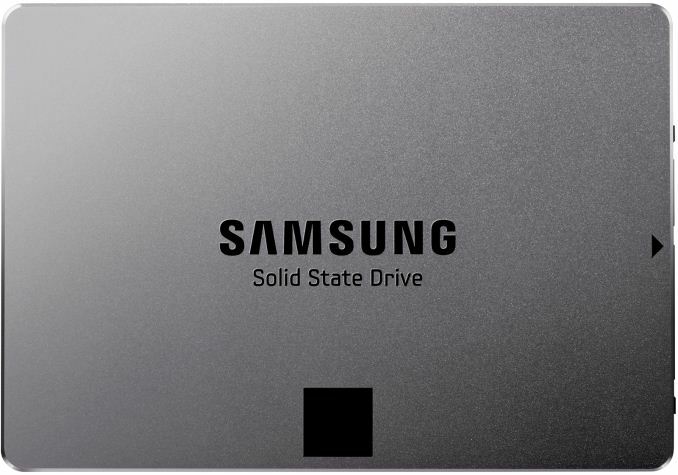 Samsung on Monday announced the industry’s first consumer SSDs based on QLC V-NAND memory. The drives will be available with capacities of up to 4 TB and will target mainstream PCs featuring a SATA interface. The new Samsung QLC SSDs are based on the company’s 1 Tb 64-layer QLC V-NAND flash as well as a proprietary controller previously used for drives powerd by 64-layer TLC V-NAND memory—probably the MJX controller from the 860 EVO. The SSDs will be available in 1 TB, 2 TB, and 4 TB configurations featuring up to 32 NAND chips. The drives come in 2.5-inch/7-mm form-factor and therefore are compatible with desktops and laptops that have a spare SATA connector. The manufacturer promises that later this year it will offer M.2 SSDs featuring its QLC V-NAND memory, but does not elaborate. Since we are dealing with a SATA drive, its performance is not that high. Samsung’s QLC SSDs offer up to 540 MB/s sequential read speed as well as up to 520 MB/s sequential write speed when the company’s TurboWrite SLC caching technology is enabled. Random I/O speeds have not yet been disclosed. Since Samsung is only beginning to mass produce its QLC SSDs, the company does not disclose its official model name and does not disclose expected MSRPs. Keeping in mind that QLC V-NAND is supposed to provide lower costs per bit than MLC and TLC V-NAND, it is logical to expect Samsung’s QLC SSDs to be more affordable than the company’s terabyte SSDs that use MLC and TLC V-NAND memory. These sound like they'll be at the lower end of the price spectrum.